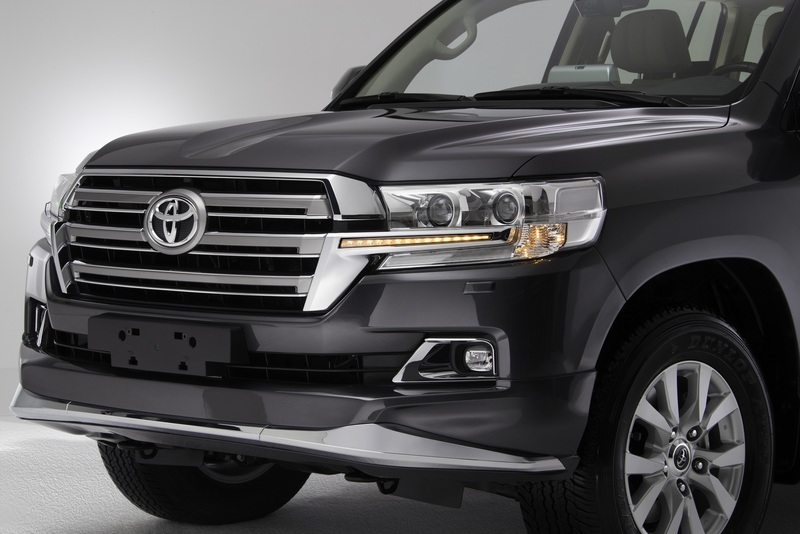 Al-Futtaim Motors, exclusive distributor of Toyota in the UAE, announces the launch of the rugged 2017 Land Cruiser, featuring a host of exterior and interior upgrades, as well as a plethora of new safety features now coming as standard across the range (EXR, GXR and VXR), including Vehicle Stability Control (VSC), rear fog lights, Tyre Pressure Monitor System (TPMS), Hill-start Assist Control (HAC) and Crawl Control, for increased driver and occupant safety. The top of the range Land Cruiser VXR, available in 4.6L and 5.7L V8 engines, comes with hydraulic suspension, as well as advanced safety features such as Vehicle Stability Control (VSC), rear fog lights, Tyre Pressure Monitor System (TPMS), Hill-start Assist Control (HAC), Crawl Control, Turn Assist Function, Adaptive Cruise Control, Blind Spot Monitor, Rear Cross Traffic Alert, 360 degree camera and Lane Departure Alert, in addition to an LED roof spoiler, front and rear spoilers, sequential indicators and a new Remote Engine Starter – Mobile App, allowing the driver to start their car remotely from their smart phones. The VXR also comes with an all-new 10.1-inch Dual FHD Display Rear Seat Entertainment system (RSE) with integrated mood lighting control, wireless mirroring link connection, allowing effortless streaming of mobile devices onto either display, as well as SD, USB & HDMI inputs. The 2017 Land Cruiser VXR also comes with a four-zone automatic climate control, 9-inch JBL navigation screen with Audio, DVD, AUX, USB and Bluetooth control with 14 speakers, auto headlight levelling and 20-inch alloy wheels. 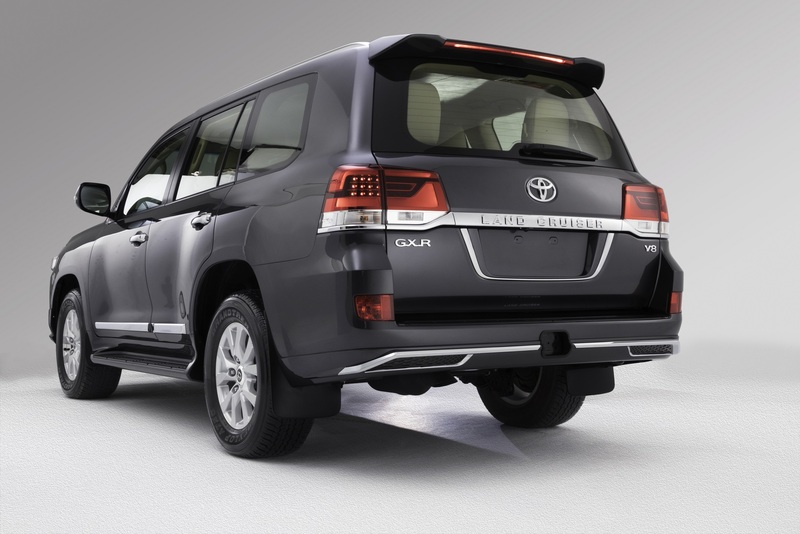 The Land Cruiser GXR, available in 4.0L V6, as well as 4.6L and 5.7L V8 engines, also comes with the same advanced safety features as well as a new rear lip spoiler, sequential indicators, Remote Engine Starter – Mobile App, leather seats and 18-inch alloy wheels. The 2017 Toyota Land Cruiser EXR, available in 4.0L V6, as well as 4.6L and 5.7L V8 engines, enjoys the same safety features and is available with a 9-inch navigation screen with Audio, DVD, AUX, USB and Bluetooth control, remote engine starter and turn assist function. Finally, the 4.0L V6-powered Land Cruiser Safari is a no-frills option for those wanting to own a Land Cruiser at the most affordable price in its segment, and offers all the safety features found on the Land Cruiser EXR. Driving the new Audi Q2 on the outskirts of Zurich was an absolute delight partly as I was expecting to get behind the wheels of a much smaller SUV than the Q3 with not many changes. But I fell in love with the SUV at first glance in a gorgeous hangar in the outskirts of Zurich city complete with beautiful eye catching graffiti that reflected the vibrant colours of the Q2 we were about to experience. The exterior features a low roofline and high window line giving the sporty car a coupe-like look and a crouching stance on the road. Especially striking are the wedge-shaped headlights, the high position of the Singleframe grille and the generously sized air inlets. The rear body has a taut appearance with a long roof spoiler and a diffuser with an underbody protection look. Behind the tailgate is a large luggage compartment with lots of space for sports equipment or plenty of shopping items. The luggage compartment can handle 405 liters of cargo, and luggage capacity increases to 1,050 liters when the rear bench seat back is folded. Being a working mum, I am always looking for space in the car and loved the practical feature in the Q2 for a through-loading facility in the rear bench seat that makes it easy to transport large items. We drove into the surburbs and back to Zurich city finding the all-round visibility very good in the Q2 as is typical of an SUV. In the connectivity and infotainment area, the Q2 offers technologies such as the optional touchpad to scroll through a clearly structured menu, while passengers can surf and stream with smart-phones, tablets and other mobile devices via a Wi-Fi hotspot. The speedometer and tachometer glow in the optional fully-digital Audi virtual cockpit, whose 12.3-inch screen displays highly detailed and brilliant graphics. The head-up display projects key vehicle data, including navigation instructions and driving speed, into the driver’s direct visual field. There is also an MMI infotainment screen with Apple CarPlay and Android Auto compatibility as well as the Audi pre-sense, adaptive cruise control, Traffic jam assist; Lane departure warning, lane-keeping assist and traffic sign recognition. The Q2 offers assistance in critical situations with the standard emergency braking assistant. If a child were to suddenly run into the street, or the car ahead were to brake abruptly to a stop, the Q2 can brake automatically in such situations. The car autonomously maintains a distance to the vehicle ahead, monitors the blind spot, recognizes traffic signs and assists in lane-keeping from a speed of 60 km/h. The 4.19 meter long SUV can even steer into parallel or perpendicular parking spaces – either in a reverse or forward direction. It can also exit parking spaces. The driver only needs to set the right gear, accelerate and brake. Being in Zurich suburbs, we encountered some slopes, which the Q2 went over effortlessly. The permanent all-wheel drive system supplies the necessary traction and grip. It is standard with the top gasoline engine. The engine is paired with a newly developed seven-speed automatic and the dual-clutch transmission changes gears and offers seamless driving pleasure. The Audi Q2 is a winner in the Automotive Brand Contest as the compact SUV gets selected for the “Best of the Best” honors in the Exterior Premium Brand category. The Automotive Brand Contest is presented by the German Design Council and is one of the most prestigious design competitions in the automotive industry. The award ceremony will be held in Paris end of September. When living in the UAE, going off road becomes part of your adventure lifestyle, as we are often enticed with dune bashing and other types of desert adventures. MTM Powersports is on course to add a new level of adrenaline to the UAE off-roading scene as it unveils the Can-Am Maverick X3, Bombardier Recreational Products’ (BRP) flagship performance side-by-side vehicle. With a raft of features that deliver an outstanding off-road ride experience, the vehicle is engineered to reshape the UAE market and has already garnered interest from local enthusiasts with Sheikh Saeed bin Hamdan bin Rashid Al Maktoum recently testing the vehicle. The 2017 Maverick X3 is set to excite the off-road motorsport community. The side-by-side vehicle (SSV) has proven to be extremely popular among Emirati off-roaders looking to stand out from the crowd. The Maverick X3 is the latest addition to BRP’s off-road lineup featuring incredible looks, agility and performance with a goal to lead the sport segment. The new Maverick X3 is designed to work perfectly in extreme climatic conditions, especially in high temperatures. The SSV was specially driven in the UAE during summer daytime with temperature up to 46 °C proving its ability to provide high performance and exhilarating ride in extreme heat to suit the off-roading scene in the GCC. The Can-Am Maverick fuses its industry-leading power, precision handling and astounding comfort levels to create a dynamic new riding experience that includes top-of-the-line styling. Designed and engineered to be powerful, defiant and precise, Can Am’s superior accessories enhance the ultimate dune and desert riding experience. Featuring an all-new 154-HP turbocharged and intercooled inline, triple Cylinder Rotex ACE engine, the Can-Am Maverick X3 side-by-side vehicle boasts commanding, all-around performance that makes it perfect for enjoying the UAE’s soft Arabian sands. An airflow system and performance-timed transmission ensure the engine operates efficiently and at optimal levels. It goes 0-60 mph in 4.9 seconds and has high-performance QRS-X CV transmission calibrated to work with the turbo to virtually eliminate lag and enhance throttle response without shifting or inducing torque interruption. The Can-Am Maverick X3 vehicle provides high safety standards through its best-in class high-performance suspension with up to 61cm (24 inches) of travel, ideal front and rear balance (44% front/56% rear) and premium FOX shocks. Resting on an ultra-efficient, lightweight chassis, the model delivers optimized handling, exceptional durability and stiffer torsion. The Maverick X3 delivers comfort and confidence at high speeds with superior stability in even the most challenging terrain. Audi is further expanding its worldwide production network and thus continuing along its path of global growth as they opened the company’s first automobile plant on the North American continent. The brand with the Four Rings will produce the new generation of the Audi Q5 for the world market in San José Chiapa in Mexico’s federal state of Puebla. The plant has an annual production capacity of approximately 150,000 premium SUVs. By the end of the year, a total of 4,200 jobs will be created locally at Audi México. Audi has applied state-of-the-art technology in the factory planning. A supplier park has been established immediately adjacent to the park. Seven suppliers and logistics providers have started operations there in time for the start of production of the Audi Q5. In line with its social responsibility, the company also supports the people in the region. Audi México has so far taken more than 3,300 local employees on board. (Estudiantes Mexicanos en Alemania) and the new Programa de Especialistas, a qualifications program for career starters and job applicants with initial career experience. The new Audi Q5 combines the sportiness of an Audi sedan with a versatile character and a highly variable interior. Whether in terms of connectivity, efficiency or driver assistance systems, the SUV with the Four Rings sets new standards in its segment. To date, the company has delivered 1.6 million of the Audi Q5 to its customers worldwide, making the model the most successful premium SUV in its segment. Audi recently has used motorsport consistently to test and develop new technologies further for subsequent use in production. With quattro drive, they revolutionized rally racing and subsequently set standards in circuit racing that sets the apart. Now Audi is going to intensify its future commitment in the world’s first racing series for fully electric race cars. Starting in the 2016/2017 season that opens in Hong Kong, Audi will increase its involvement in Formula E Team ABT Schaeffler Audi Sport. In addition, it is planned to incorporate Formula E into a factory-backed motorsport program as of the 2017/2018 season. Audi Sport has been giving its name to the team ever since the inaugural 2014/2015 Formula E season and in the Brazilian Lucas di Grassi making one of its factory drivers available in the course of this cooperation. In addition, the team has been able to use Audi Sport’s infrastructure in Neuburg. Starting in the 2016/2017 season, Audi is going to intensify the existing partnership with Team ABT Schaeffler Audi Sport by financial and technical support. For the 2017/2018 season, on the road toward a fully-fledged factory commitment, Audi Sport will be joining the development step by step in close cooperation with technology partner Schaeffler. Audi’s commitment in Formula E will be visible to the fans as well. With immediate effect, the four rings will be prominently featured on the sides and the rear wings of the ABT Schaeffler FE02. The fully electric single-seater race cars were sporting their new liveries on the race track for the first time this week at Donington Park in the UK at the final tests before the Formula E season starts in Hong Kong. The 2016/2017 Formula E season calendar currently features twelve races in ten international metropolises. The new ‘Stunning Civic’ 2016 sets an all-new standard in compact car style and performance. With sleek, sporty lines and an improved power-to-weight ratio, 2016 Civic is not only fun to drive, charismatic, spacious and stylish but also the most efficient in its class. In addition to a brand new engine in the LXi and EXi grades, it also boasts a new grade equipped with a new turbo charged 1.5 liter DOHC Direct Injected Inline-4 cyclinder Engine and will be called RS. The 2016 Civic design is sporty with its athletic stance and low wide proportions. Exterior is sleek with swept back bodylines, sharp aggressive fascia and its bulging wheel arches. Some standard features in all grades include standard LED daytime running lights, distinctive C-shaped LED tailights, power side mirrors with integrated LED turn signals, capless fuel system and glass antennas. The 2016 Civic interior is designed to offer comfortable, sophisticated and premium cabin in its class. The 2016 Civic’s longer wheel base and wider body results in giving its occupants spaciousness and premium comfort with ample headroom, legroom, shoulder clearance and side head clearance. Fit, finish and material quality throughout the cabin has been modernized with the premium and sporty character of all new Civic. High quality, soft touch materials are applied to the instrument panel, front door and door inserts and center armrests are padded. The Stunning Civic also offers automatic climate control, steering wheel mounted controls for Blue Tooth Hands Free Telephone (HFT), a 5 inch touch screen audio in the LXi grade and a 7 inch touchscreen audio in EXi and RS grades and USB jacks. Convenience features include Remote Engine Starter, which starts engine from a distance, ensuring favorable automatic climate control regulating cabin temperature ensuring maximum comfort before you get in. Smart Entry, Push Button Start also adds to comfort and sporty feel, Electric Parking Brake replaces hand lever with compact, easy to operate switch, the Automatic Brake Hold function eliminates the need to keep the foot on the break when at a hill or an intersection, Auto Day and Night Rear View Mirror, Walk Away Locking, Cruise Control, Electronic Power Steering and Rear Parking Sensors. The EXi and the RS grades in addition to sunroof has Honda LANEWATCHTM feature which uses a camera located below the passenger side view mirror to display an expanded rear view of the passenger side road way on the 7 inch touchscreen. 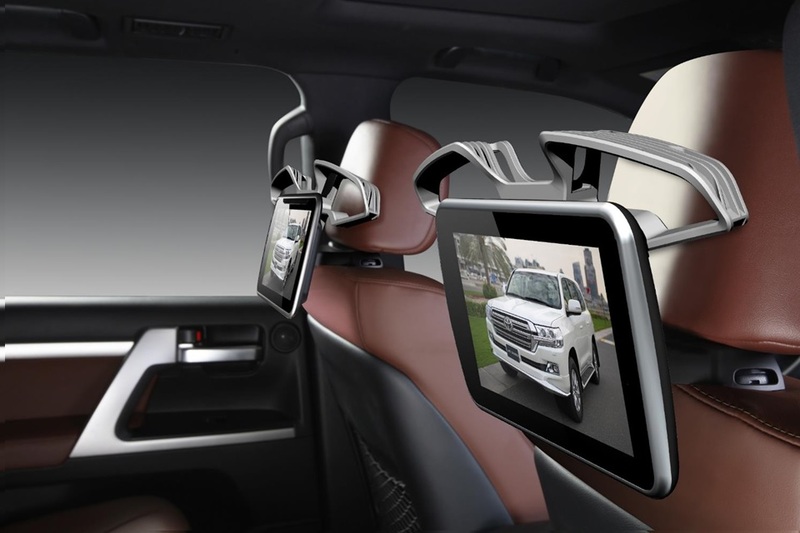 Multi-Angle Rearview Camera that gives a look of three different viewing angles which can also be seen on the same 7 inch touchscreen. The Bentley Bentayga combines unparalleled luxury, effortless performance and everyday usability using innovative advanced technology and cutting-edge features. It is Bentley Motors pinnacle, sector-defining new model that offers sporting ability plus off-road performance for motor enthusiasts and for those who have exquisite taste for sculptural design and elegant luxury. Designed, engineered and built in Crewe, UK, the Bentayga takes Bentley luxury to new places as it balances athleticism with presence. The Bentley workforce blend exceptional craft and skill with modern production techniques and materials evident in the intricate detailing and precision using wood, metal and leather that creates a modern, luxurious handcrafted interior. The Bentley performance is best experienced in different climates or terrain to get the full feel of the highly advanced chassis designed to thrill. It offers the ultimate redefined luxury ride quality and comfort while the unrivalled power and torque makes it the most powerful and fastest SUV ever. The Bentayga’s styling is pure Bentley. From the four round LED headlamps and large matrix grille, to the distinctive power line and muscular haunches, the Bentley DNA is apparent in the world’s finest automotive cabin with unrivalled levels of precision. Talking digits, the twin-turbocharged 6.0-litre W12 engine is at the heart of the new Bentayga as the mighty 12-cylinder unit combines efficiency and refinement with ultra-luxurious levels of power and torque. With 608 PS (600 bhp / 447kW) and 900 Nm (663 lb. ft) delivering a 0-60 mph time of 4.0 seconds (0-100 km/h in 4.1 seconds) and a top speed of 187 mph (301 km/h), the Bentayga is the world’s most powerful SUV. The engine is mated to an eight-speed automatic gearbox while the transmission and four-wheel-drive system has been strengthened to handle the demands and high torque levels of off-road driving. Key attraction is of course the suite of the state-of-the-art driver assistance systems and infotainment features designed to enhance safety, comfort and convenience making the Bentayga an innovative, advanced and connected luxury SUV. The Bentayga is also available with Park Assist, Electronic Night Vision and Head-Up Display, which reduces driver distraction and increases safety. The Bentayga’s cutting-edge 8” touch screen infotainment system boasts class-leading navigation technology, a 60GB hard drive, and a choice of up to 30 languages. A bespoke mechanical Mulliner Tourbillon by Breitling clock can also be specified for the Bentayga. This masterpiece is machined in solid gold with a choice of either mother-of-pearl or black ebony face and decorated with eight diamond indexes. Bentley Motors is the most sought after luxury car brand in the world. Step inside the new Bentayga and you will find the finest automotive interior in the world, with handcrafted wood and leather throughout – engineered with precision to deliver absolute perfection.